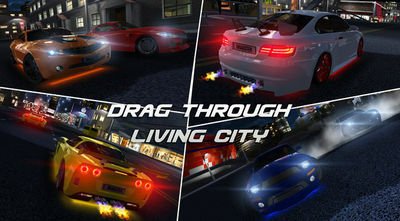 Drag like crazy in the ultimate street racing experience and prove your skills to the world. It's all about the drag in this one, for a full list of features please visit the Play Store. Drag Racing 3D features a total of 35 customizable cars and epic challengers from around the world. Put together the ultimate speed monster and defeat the best drivers in epic competitions, but watch out for the police!